When Winter comes through in full-force, it can make life much harder for everyone – especially senior citizens. The cold weather and slippery ground can lead to slippage or other serious injuries. This might sound like a no-brainer but for the sake of your loved one, keep them away from icy, snowy roads and sidewalks. As you are already likely aware, falls are a common occurrence for senior citizens during the Winter season. The injuries sustained can range anywhere from hip and wrist fractures to major lacerations. All seniors must wear shoes that have good traction and non-skid soles if they are planning to go out for a walk. Another emphasis should be placed on the cane tip. Replacing a worn tip will provide them with a trustworthy option to lean on without having to worry about any slippage. Needless to say, low temperatures can lead to severe conditions like frostbite and hypothermia. You can counter this by keeping indoor temperatures within a comfortable range for the individual. Note that your body temperature should never dip below 95 degrees – if you do happen to notice this, seek medical assistance immediately. Winter can be a relatively lonely season as many seniors will have less contact with others due to the difficulty and danger of getting around. This doesn’t just lead to a sense of isolation, but it can also exacerbate depression within the elderly. To avoid these issues, check in on your loved one as often as possible; even a small chat on the phone could mean the world to him/her. 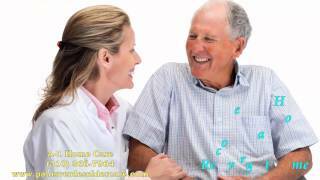 Additionally, you can opt for 24 Hour Home Care, that we at A-1 Home Care Agency, offer to provide round the clock services for families that are unable to care for their loved ones for extended periods of time. Feel free to contact us at our Santa Fe Springs Office (562) 929-8400 or at our Newport Beach Office (949) 650-3800 to inquire about any of our premium services that we offer. A-1 Home Care Agency is proudly licensed, bonded, and insured. The holidays are not always a time of cheer and joy. Often, the holidays are the days in which most people will avoid due to the absence of a loved one or ones. Our in-home care agency, A-1 Home Care, has worked with many senior patients who have a hard time getting through the holidays. It is our duty to make sure that our seniors are comfortable when it comes to the holidays, both physically and mentally. Often, our seniors’ loved ones come down to their home to spend some quality time. Make plans ahead of time – understand that putting something off will only delay time. Make plans for the holidays. Your loved one deserves to be around loved ones. Acknowledge your feelings – it is okay to be sad or angry. Reach out – send a text, call, or ask someone to keep you company. Talk it out. Say “no,” if something seems too overwhelming. If you would like to hear further of our in-home and twenty-four hour services, including companion care, then do not hesitate to give our Malibu branch 310-657-8780 or our Santa Fe Springs headquarters 562-929-8400 a call. Breast Cancer is one of the top cancers that affects millions of women, and even men too, each year. Although, it is treatable with radiation and chemotherapy, a majority of people are rediagnosed with it a second or multiple times, until it hits Stage Four Cancer. Women over the age of forty are encouraged by their doctors to get a breast examination (mammogram) each year to detect any potential signs of breast cancer, which anyone can get, including many women in their twenties. 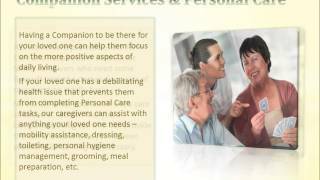 A-1 Home Care is an agency who strive to go above and beyond for our senior patients. If you would like a representative to further assist you, please be sure to contact our Malibu branch 310-657-8780 or our Santa Fe Springs headquarters 562-929-8400. Today in America, nearly one in four adults is providing unpaid care for an older adult in lieu of opting for a professional service. Compounded with balancing the obligations of running errands, staying on top of concerns with wellness and at the same time maintaining a household, the double workload can become overwhelming for some. What may prove even more stressful is grappling with the notion of hours of alone time your loved one may be looking at in the absence of yourself or other family members. Things like “fall-risk” come to mind or not being able to manage medications without supervision. 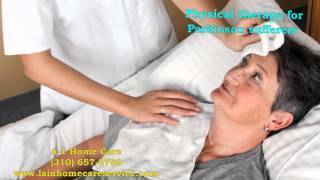 This is where A-1 Home Care in Malibu really shines-we deliver elder companion care, in home companion, live-in companion and other companionship services with a caring, compassionate touch to ensure the safety and well-being of your loved ones. 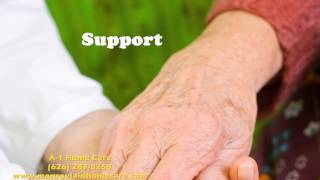 A-1 Home Care Agency is proud to provide companionship services to relieve some of the stresses that come from taking up the role of primary caregiver. Our loving and expertly trained team will make sure no one has to exist in fear of ever being alone in a time of need or having to go without day to day support for activities of daily living. Companion care can actually refer to a wide range of duties such as handling household tasks, assisting with physical activity as well as nurturing much needed personal interaction which may see a decline in senior years. Each and every senior companion professional is ethnically diverse, always affordable and dedicated to care and compassion. Our mission is to not only remove any uncertainty with leaving older loved ones alone, but to nurture and encourage the overall wellness of the patient. Social interaction can do so much for not only retaining but also regaining fuller cognitive function. To inquire about our top level Companion Care services, give us a call today at (310) 657-8780 or (562) 929-8400. Our live intake coordinators are available 24 hours a day, 7 days a week. Established since 1991, A-1 Home Care is proud to serve all areas of Santa Monica, Torrance, Studio City, Calabasas and more! Malibu elders may fall victim to an illness every once in awhile– as do the rest of us– but what about when these conditions become fatal? At A-1 Home Care in the greater Los Angeles and Orange County areas, we provide exceptional hospice care services that bring you and your loved one who is in the end days to a place of continual peace in the home. It’s this dedication to providing the best– while leaving behind the rest– that has helped A-1 Home Care to retain its honorable position at the top of in-home care provision in all of Southern California. A-1 Home Care also provides care for those needing Mowat-Wilson Syndrome care, kidney disease care, cancer care, and even short-term care for temporary rehab assistance in the home. If you want to know more about the senior home health solutions available at A-1 Home Care today, then call a helpful caregiver by dialing (310) 657-8780 or (562) 929-8400. A-1 Home Care is proud to serve adjacent communities in Tarzana, Calabasas, Sherman Oaks, Brentwood, and Santa Monica. Have relationships in the home been increasingly difficult in recent times, and solutions for the relational depravity seem further away than ever? 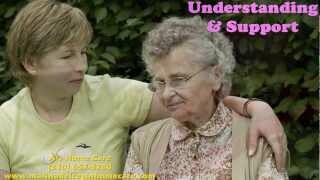 At A-1 Home Care in Malibu, we provide the leading relationship assistance found anywhere in Southern California with our friendly companion service providers who help bridge the gap between all kinds of interpersonal connections– whether between marital partners, parents and children, or any other type of relationship currently dwelling in dysfunction. 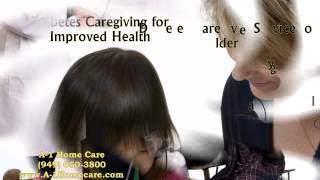 Each specialized elder care expert at A-1 Home Care comes equipped with inspiration in the lungs and help in the hands, providing hourly in-home care in the home should it be necessary for improving the dynamics of the relationships within it. It’s this variety of companionship care that helps to alleviate existing stress between members of the home, improving relational health and emotional stability in the process. You can find out more about A-1 Home Care and its affordable home care solutions by contacting a gentle caregiver at (310) 657-8780 or (562) 929-8400 today. A-1 Home Care serves adjacent communities throughout Los Angeles and Orange County including Calabasas, Sherman Oaks, Brentwood, Santa Monica, and Marina Del Rey. Is your loved one feeling like the symptoms of Multiple Sclerosis are becoming too difficult to manage alone in the home? 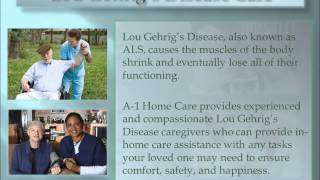 At A-1 Home Care in Malibu, we provide affordable Multiple Sclerosis care solutions to the comfort of the home that are daily diverse, always affordable, and equally exceptional. The compassionate senior care specialists at A-1 Home Care reach out with helping hands held wide and a golden heart laced across their chest, signifying the dedication they have to providing people from all walks of life, including Jewish, Middle Eastern, Asian, and European, with better home health going forward. A-1 Home Care has continued to excel in caregiver provision throughout the Los Angeles and Orange County areas, providing not only in-home care options, but also out-of-home assistance for situations that include after surgery care and temporary physical therapy. You can discover more about the caregiver solutions that are at your disposal when you choose A-1 Home Care by dialing (310) 657-8780 or (562) 929-8400 and speaking with a live caregiver today. A-1 Home Care is proud to serve neighboring communities in places that include Calabasas, Tarzana, Encino, Brentwood, and Sherman Oaks.